ROPE HAMMOCK by Summerfield Terrace home decor, jewelry, decor, decorations, electronics, fountains, floor mats, art glass, vases, garden essentials, fireplace screens. Style, comfort, and warm breeze makes for a great end to a great day. 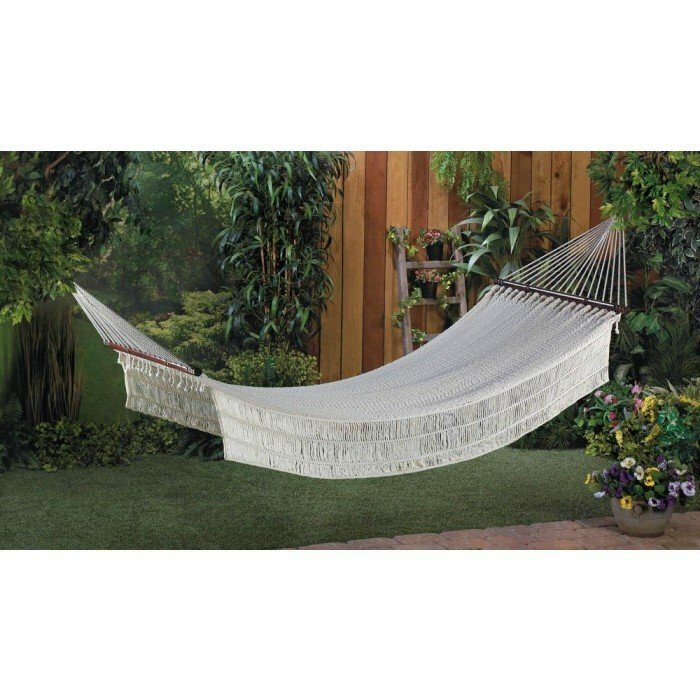 This comfortable cotton rope hammock features a fabulous design that looks as great as it feels when you're relaxing your day away. Material(s): COTTON WOOD - JUNIPER. Weight 6 pounds. Dimensions 78.8" x 35.4" x 0".